The 1st of November in Italy is a festivity day as we celebrate “All Saints” (Ognissanti). Schools, offices, factories, shops etc. are generally closed but not main museums and tourist attractions (or services). 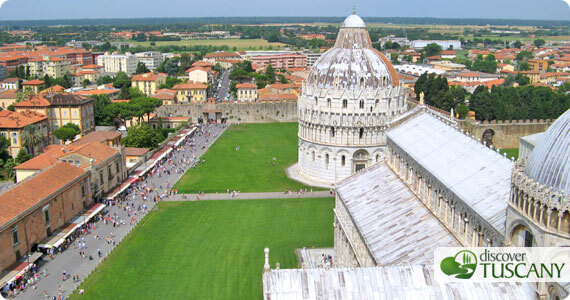 This would be a good occasion to visit a city of art and Tuscany is the perfect place where to find them! So if you’re planning to be in Tuscany this week (October 29th- Nov 4), we’ve prepared a short list of 5 great exhibitions that you really can’t miss. Note that some exhibitions will end on the next weekend, so this is your last chance to see them! Fifty years after his death, the Ferragamo Museum in Florence tributes Marilyn Monroe with the exhibition “Marilyn“, which runs until 28 January 2013. The myth of Marilyn lives again through her dream dresses, shoes, items and famous shots shown in this exhibition set up in the magnificent Palazzo Spini Feroni in the heart of Florence. The entry ticket costs € 5. Until November 4th you can visit the exhibition “Gleam of Gold” dedicated to the International Gothic, set up inside the Uffizi Gallery. The exhibition focuses on the artistic period between 1375-1440 often known as “gothic style”. The ticket price is € 11 and includes the entrance to the Uffizi Gallery. Is to be expected a lot of tourists during this days of festivity so it’s highly recommended to buy the tickets in advance. You still have time to see at the Palazzo Blu in Pisa the exhibition “Tuttomondo 2012: Keith Haring“, which will end on November 11th. At the Library Hall of the Palace are exposed six original works that Haring made between 1987 and 1989. This exhibition also celebrates with photos and video the story of the colorful graffitil that Haring achieved in the city center of Pisa, which has been recently restored. Free entrance. Fifty works of the Russian painter, the father of abstract art, dating back to the years between 1901 and 1922 and arrived for this exhibitions from the State Museum of St. Petersburg and other Russian museums. The entrance ticket costs € 10 and includes the audio guide. The Lu.C.C.A. – Lucca Center of Contemporary Art hosts until November 4th an interesting exhibition dedicated to David LaChapelle, eclectic world-renowned American photographer, famous for his shots and works in the world of fashion, of advertising and of art photography. Entry ticket € 9. Hotel, B&B or Apartment: where to stay? If you have not yet booked the lodging for your stay in Tuscany, start with the selection by Tuscany Accommodation – your guide to accommodation in Tuscany and request directly to the owners the best deal for your stay. You’ll definitely find the lodging that perfectly fits your needs and at best rates.